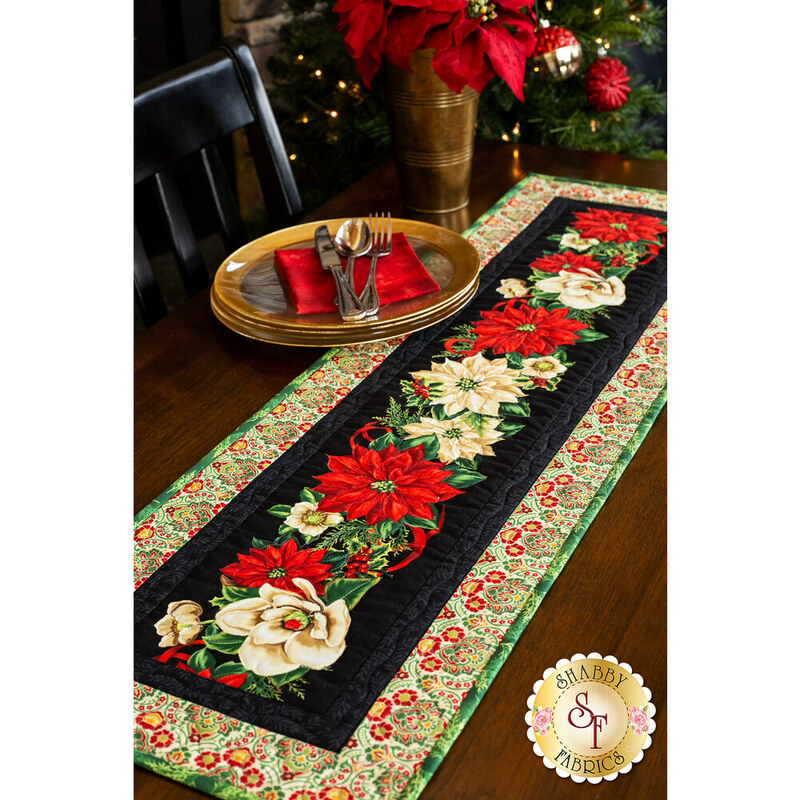 Bring beautiful poinsettias to your table in striking color with this festive runner. 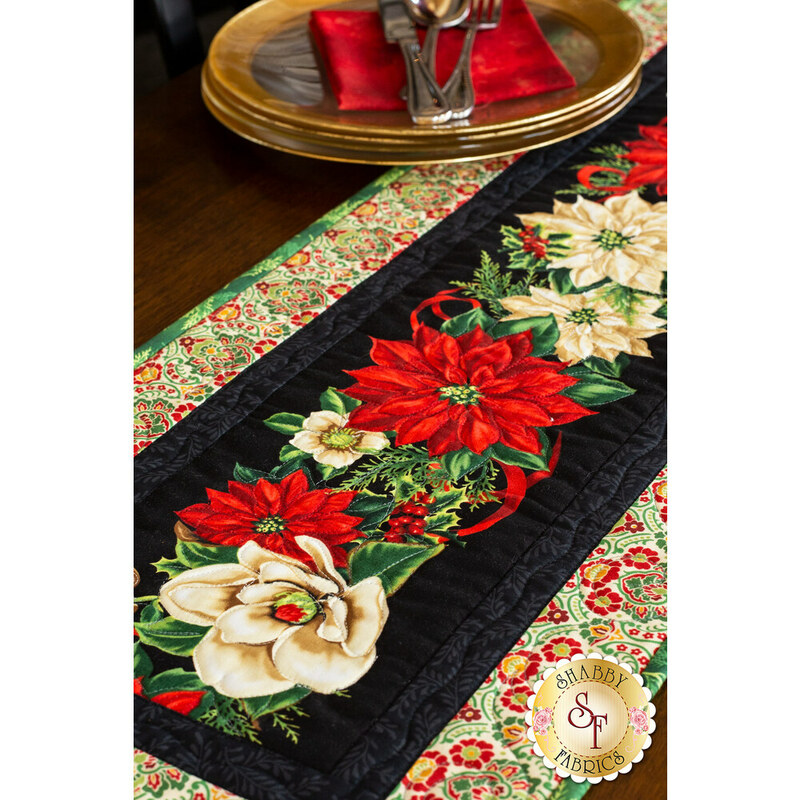 It's quick and easy to make, and will impress all of your holiday visitors! 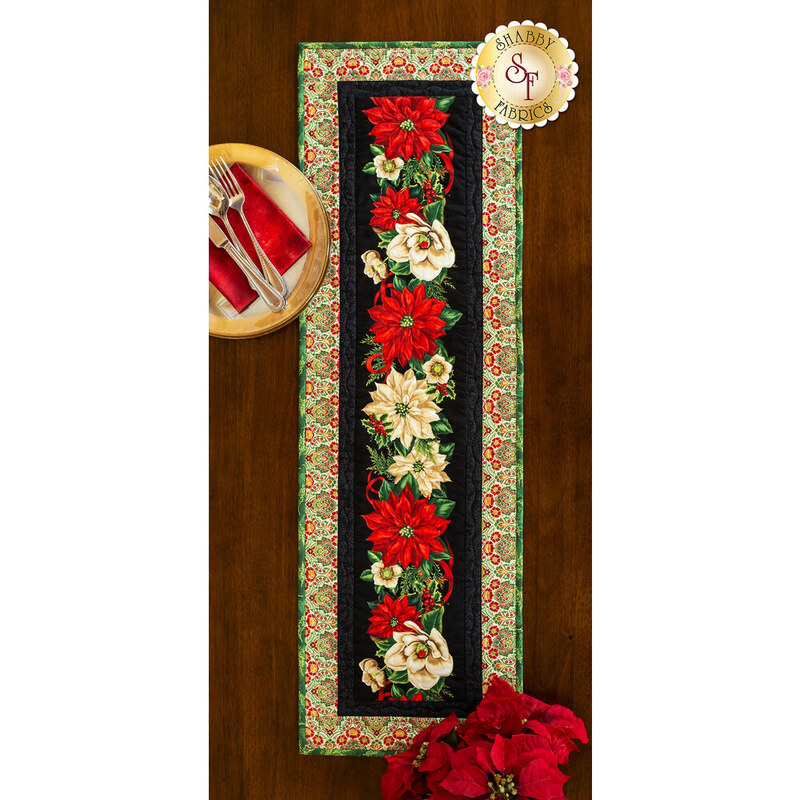 This table runner measures approximately 12½" x 41".